Do you live with any or all of the following: (1) high energy bills due to heat loss in the winter and heat gain in the summer, (2) fogging glass or water damage caused by condensation, (3) chipping paint or rotting wood, (4) difficulties with opening and cleaning, (5) excessive air and noise penetration, (6) fading window coverings, carpet and upholstery? You don’t have to! Over the years, windows and patio doors can become worn from continual use and exposure to the elements. In addition to being hard to operate and looking unattractive, they are not usually energy efficient. By simply replacing old windows and patio doors, you can easily eliminate the problems and increase the energy efficiency, comfort, appearance and value of your home - all in record time with little or no inconvenience to daily living. Whether your remodeling project consists of replacing a few windows, adding on a room, bringing your home up to code or making historical renovations, Lincoln has the product that will meet your exacting specifications. Revitalize your home! Remodeling any building can have its challenges and Lincoln stands ready to simplify the purchasing decision. Choosing the right product for the application is often the hardest decision of all. We outline steps for a successful replacement /remodel project and smooth the path to an efficiently completed project with the proper product. So get rid of your drafty, poorly operating and unsightly windows today and start enjoying the benefit of new windows and patio doors. Satisfaction is only four steps away. Revitalize Today!! 1. IDENTIFY Knowing the reasons why you want to replace your windows will help in the process of determining which replacement option or options you should choose. Consider the following: Is an addition part of the project? Are existing combination storm units or screens going to be used? Is there a desire to match other windows or change the look? Are there possible size changes? Will you need patio doors to compliment your new windows? Have the custom options been researched? 2. INSPECT & SPECIFY Now that we’ve identified the project scope, it’s time to specify which Lincoln Revitalize product is right for the job. 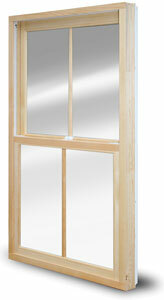 Replacement options include: sash kits, pocket insert windows and full-frame replacement windows and patio doors. Before choosing a product, inspect the existing frames and jambs to determine soundness and whether or not the frame openings are reasonably close to being plumb, level and square. 3. MEASURE & ORDER Precise measurements are key for proper installation of replacement windows. Lincoln highly suggests that you contact a local dealer to have your windows professionally measured. If you plan on measuring yourself, make sure to follow the proper set of measuring instructions. Measurements will differ for each replacement option. 4. INSTALL Proper installation is key to optimum performance and operation. Detailed installation instructions are provided with every Revitalize order. If further assistance is required, authorized Lincoln dealers are ready to help. Prefer to have a professional install your new windows (which we suggest for full-frame replacement product)? Simply contact your local Lincoln dealer to set up an appointment or get their installation recommendation. 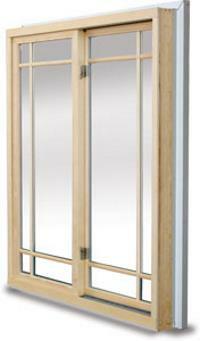 Frames and jambs are sound and utilizing an existing screen or combination storm window is important. Remove existing sash, weights and pulleys and install new balance system with energy efficient glass and updated weatherstripping. Existing window frame and jamb is in good condition. 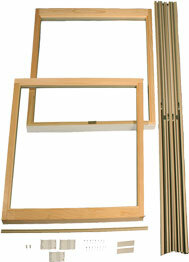 Upgrading the window sash and balance system without disrupting your trim or frame. Available in primed wood, aluminum clad and vinyl clad exteriors. Frames are sound. New screens are required. Minimal disruption to the exterior and quick installation are the paramount concerns. Remove existing sash and balance system and install pocket window complete with energy efficient glass, weatherstrip and exterior trim. Frames are unable to be utilized, would like windows of a different style or size or additional windows/patio doors are needed. Remove entire unit and install custom sized windows or patio doors to your precise measurements.